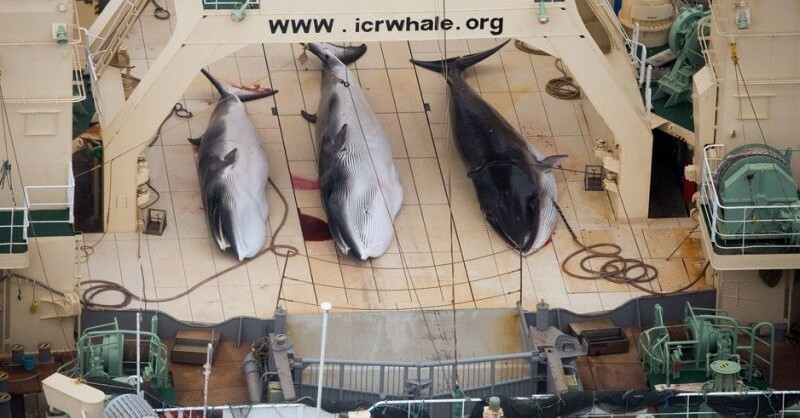 Animal rights activists have expressed outrage after a report on Japan’s “scientific whaling” programme showed that more than two-thirds of the female minke whales harpooned in the Southern Ocean earlier this year were pregnant females. The report, submitted to a meeting of the scientific committee of the International Whaling Commission in Slovenia earlier this month, also showed that 53 of the 333 whales slaughtered were juvenile animals. “The killing of 122 pregnant whales is a shocking statistic and sad indictment on the cruelty of Japan’s whale hunt”, said Alexia Wellbelove, of the Australia branch of Humane Society International. “It is further demonstration, if needed, of the truly gruesome and unnecessary nature of whaling operations, especially when non-lethal surveys have been shown to be sufficient for scientific needs”, she said. 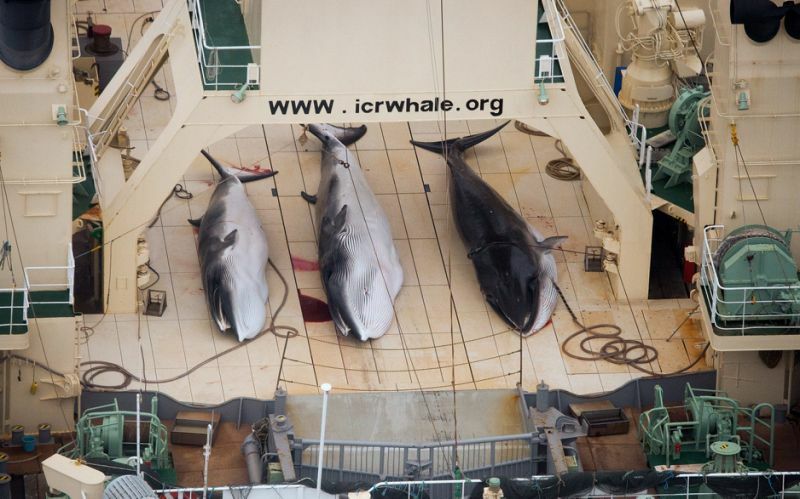 Activists accuse Tokyo of ignoring a ruling in 2014 by the International Court of Justice, in The Hague, that Japan’s whaling was a commercial exercise rather than a scientific research programme and that it had to halt. Tokyo, which provides large subsidies to keep its domestic whaling industry afloat, responded by adding new research procedures and resuming operations in 2015 with a quota of 333 minke whales. 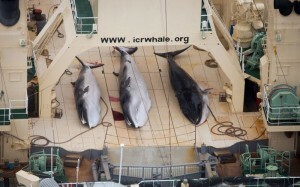 To protect itself from further legal challenges, Japan also withdrew its recognition of the International Court of Justice as an arbiter of disputes over whales. Whale meat used to be an important source of nutrition for the Japanese but little is consumed by the general public today. Instead, whale meat is served in school meals and a handful of specialist restaurants, with the rest frozen or used as pet food. 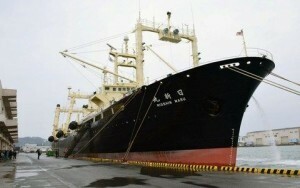 A spokesman for the environmental group Sea Shepherd said it appeared that the Japanese whaling fleet had been “targeting pregnant females, for some reason”. Bob Brown, the former head of the Australian Green Party and founder of an environmental foundation, told The Telegraph that the harpooning of pregnant whales was “barbaric and illegal”. “These are the most gentle of whales and people go to the Great Barrier Reef just to rub noses with these creatures”, he said. “Then they fall pregnant, go to the Southern Ocean and get harpooned by the Japanese while the governments of Australia, New Zealand, Britain, the US and everywhere else sit on their hands and say this criminal behaviour is okay because the Japanese government is funding it. “The leaders who are today failing to take action have the blood of these innocent whales on their hands,” he said. “This is an international disgrace and an environmental crime”.